Penelope Luz Hortense | Light Your Nails! Well done! I was a good girl lately and I am totally looking forward to Black Friday! Oh my, what a beauty. Perfect swatch! What a beautiful cornflower blue! It sounds great! I don't heard about this polish brand, but I know that I love the color and beautiful holo effect! I discover the brand not so long ago and I'm in love with what they do : Lovely ! Wowweee! This is a beautiful denim color and you are killing it! 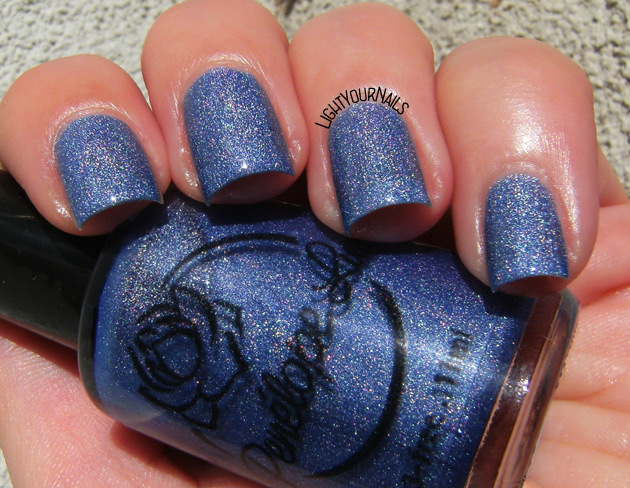 ♥♥♥ what a gorgeous shade! So pretty, it looks so beautiful on you as well. I am always a fan of your sunlight photos for holos. What an absolutely beautiful blue! !